Clutch: 310mm single plate diaphragm clutch. 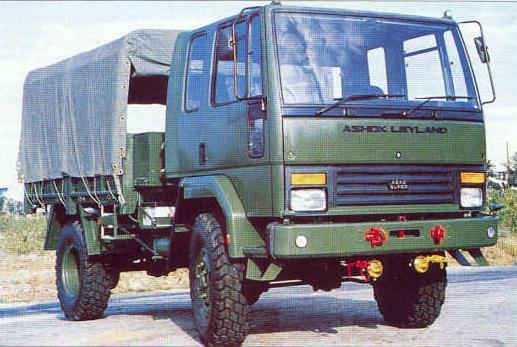 Gear Box: Ashok Leyland S 6.36 synchromesh (6F+1R). Transfer Box: 2 speed with dis-engageable front wheel drive. Cabin: Modern, factory-built tiltable type cabin, with observation hatch. Body: GS Role, All Steel Body, semi tiltable with tarpaulin. Turning Circle Diameter: 16 meters.